Dhanya is a corporate-commercial lawyer and her areas of expertise include private equity and venture capital investments, joint ventures, mergers and acquisitions, exchange control, cross border transactions, capital market transactions and general corporate /commercial practice. Dhanya is currently located in the firm's Bangalore office, where she looks after the above mentioned practices. 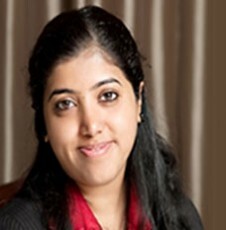 Dhanya graduated from the prestigious National Law School of India University with a Bachelor's Degree and Honours in Law in 1998. In the same year she was admitted to the Bar Council of Maharashtra & Goa. Dhanya spent several years at a leading Mumbai based law firm, gaining experience in corporate and commercial transactions. Dhanya has been retained by many domestic and foreign private equity investors and has been advising on complex structures and documentation. She has also been instrumental in developing the capital markets practice of the firm. She regularly advises on regulatory issues relating to foreign direct investments as well as overseas direct investments and has been involved in structuring of transactions to ensure regulatory compliance. Dhanya has also advised corporate and business entities in their day to day compliance, secretarial matters, contractual and labour matters. Dhanya’s skill set includes, extensive knowledge on the regulatory regime, deep transactional understanding and industry expertise across industries as diverse as education, banking, media, medical devices, technology, telecommunications, engineering, infrastructure, hospitality and non banking financial services. Her attention to details and thoroughness in work have been appreciated by the clients who have acknowledged her contributions to both the legal and commercial sides of transactions. Dhanya has authored articles and research papers relating to corporate laws and has been invited to speak at various seminars & conferences relating to her areas of expertise.